Olivia Wilde has created one for the books. 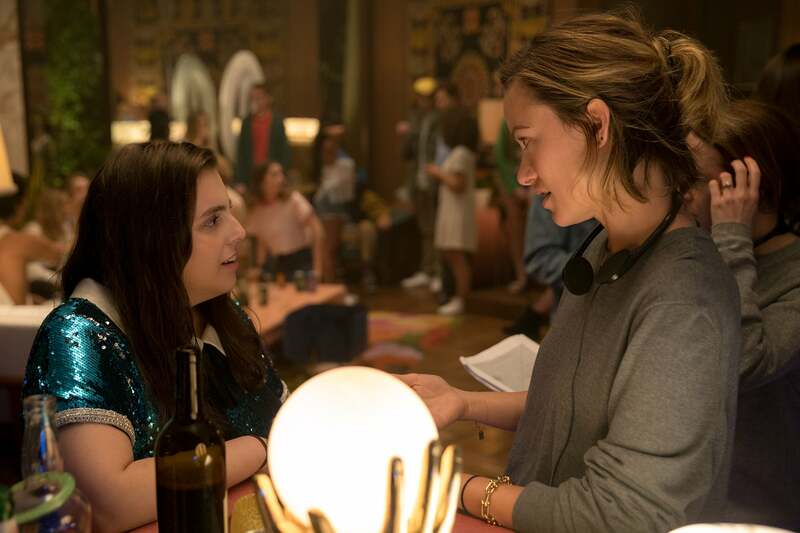 The actress turned director's debut feature film, Booksmart, won't arrive in theaters until May 24, but she has already received accolades for it, as well as rave reviews from the few people who have been lucky enough to see it early. "It was extraordinary, because, we're still finishing this film," Wilde told ET earlier this year at Variety's Creative Impact Awards, where she was recognized as one of their 10 Directors to Watch, a list which also included fellow actor turned first-time director Bradley Cooper. Especially extraordinary is the fact that Wilde achieved this sort of success with her first film, which can be credited to the time she spent shadowing directors on set throughout her 17-year career and cutting her teeth directing short films and music videos for groups like Red Hot Chili Peppers and Edward Sharpe and the Magnetic Zeros. Booksmart is a coming-of-age tale starring Beanie Feldstein (Lady Bird) and Kaitlyn Dever (Beautiful Boy) as best friends Molly and Amy who realize they didn't live it up as much as they should have in high school. And so the teens set out to pack all the fun they missed into one night of debauchery ahead of graduation. Laughter and chaos ensue and someone even ends up in handcuffs. It's the rare comedy that looks at the high school experience from the female perspective, following in the footsteps of films like last year's R-rated hit, Blockers. "I believe in it so much, but you never know [how people will react]. You are working on it in your own bubble," she explained. "It was incredible to let the egg hatch into the world and have someone say they also felt it resonated. I have been working really hard on it and I am excited. I'm excited for the world to see it." 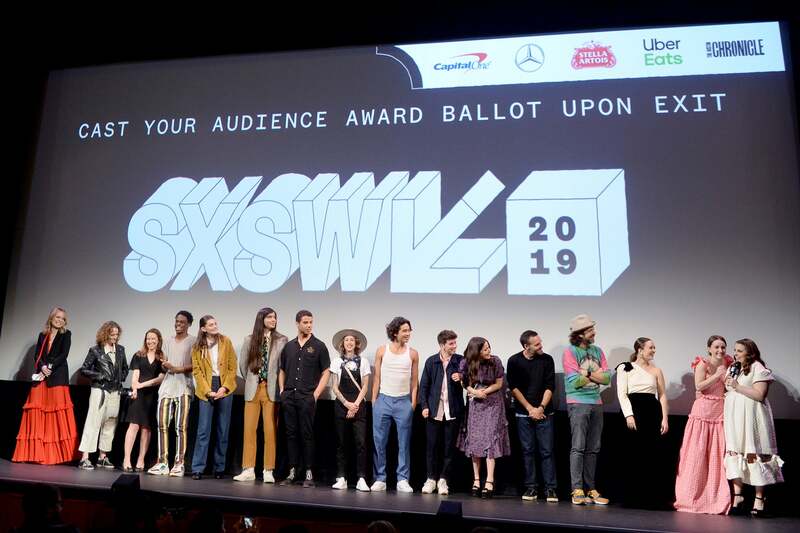 The world still hasn't seen all Booksmart has to offer quite yet, but those in attendance at South by Southwest did, as the film had its premiere as part of the festival this week -- a longtime dream for the filmmaker. "I think I used The Secret by accident and it WORKED but seriously this is a huge deal for me," Wilde wrote on Instagram when this year's SXSW selections were announced. The day of Booksmart's debut happened to be the director's 35th birthday. Wilde also served as one of SXSW's keynote speakers, alongside such dignitaries as Congresswoman Alexandria Ocasio-Cortez. During her speech, she reflected on coming up in an industry that disregarded her because she's a woman and how she shifted that paradigm. "I was so desperate to be someone else's muse I didn’t realize I could be my own," she said. Which is why, even more so than the buzz Booksmart has received -- critics are already calling the film a "classic" and "the best high school buddy comedy since Superbad" -- Wilde is proudest of adding the title "director" to her resume. When she finally became a card-carrying member of the Directors Guild of America, she celebrated with a pointed but triumphant Instagram post. "So nerdy, but it means a lot to me." she laughed to ET, explaining, "The fact that Nora Ephron was on the card this year was really kind of exciting because she is a huge reason I wanted to direct." And considering only 15 percent of the guild is comprised of female directors, the inclusion "means a lot." "It really is important that we work within it to bring more representation to it," Wilde said. "So, I am proud to be a member and I am proud to help it evolve to include a more diverse group." SXSW: Shop Olivia Wilde's Floral-Printed Pink Suit For Less!